It's time for our latest challenge at the Sisterhood of Snarky Stampers and this time Edna must be feeling peckish as she's chosen Y is for Yummy. I've used an image printed from the Joanna Sheen CD Viva Las Divas, which you probably know I have a love-hate relationship with, lightly decoupaged by cutting out parts of the second image on the sheet. The sentiments on the CD are editable so I created my own, and have added a background of encaustic wax painting (done with a hot iron and melted wax) to pick up the colour of That Wallpaper. 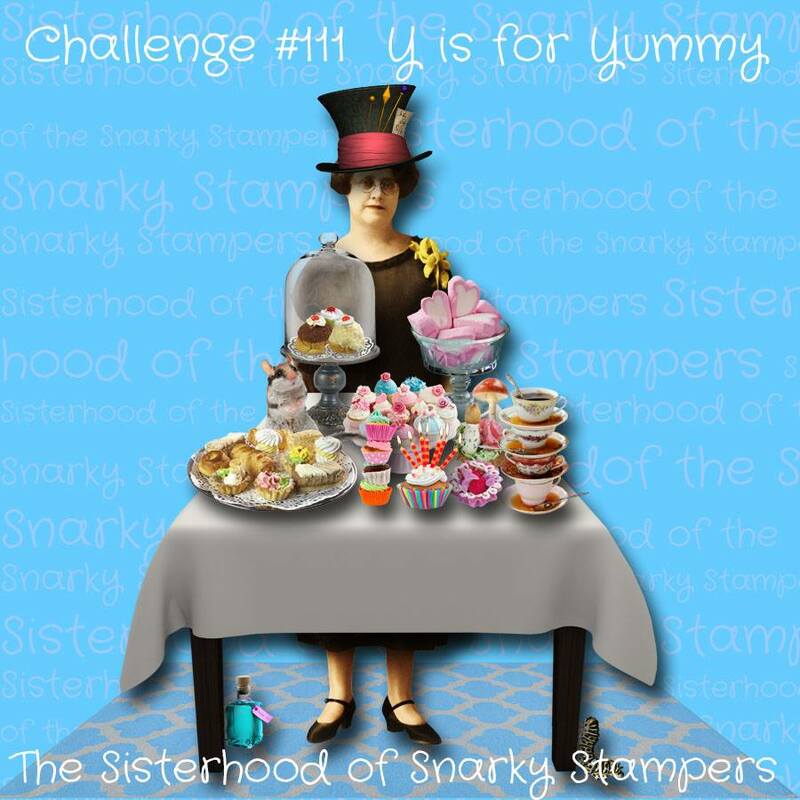 I do hope you will head over to the Sisterhood and share your yummy creations with us (snark optional but encouraged) - you may become our next Queen or Princess of Snark! 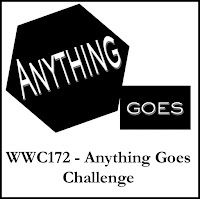 Watercooler Wednesday - Anything goes because I reckon it's the kind of thing the girls gathered around the watercooler would have a good chuckle at. And also with The Library Challenge - Breakfast at Tiffany's because with tea, toast and jam they must be eating breakfast! This card is a riot! Love the retro pic and your sentiment. I was really hoping you'd say how you made that amazing background panel. I want to try that now! What an fabulous background, super retro image and great sentiment. tee hee hee - Great sentiment and I love that retro image. What a great card, Jane! I love the way that wax painting in the background compliments the wallpaper in the retro image, too. It really pulls it together beautifully. But what really makes that card is the sentiment. "Fast and cheap"...I'll have to remember that. Thanks so much for joining our Watercooler Wednesday Challenge this week. Breakfast! Perfect! Fun, funny and I love the encaustic background. Thanks for joining The Library. These retro images are so much fun. 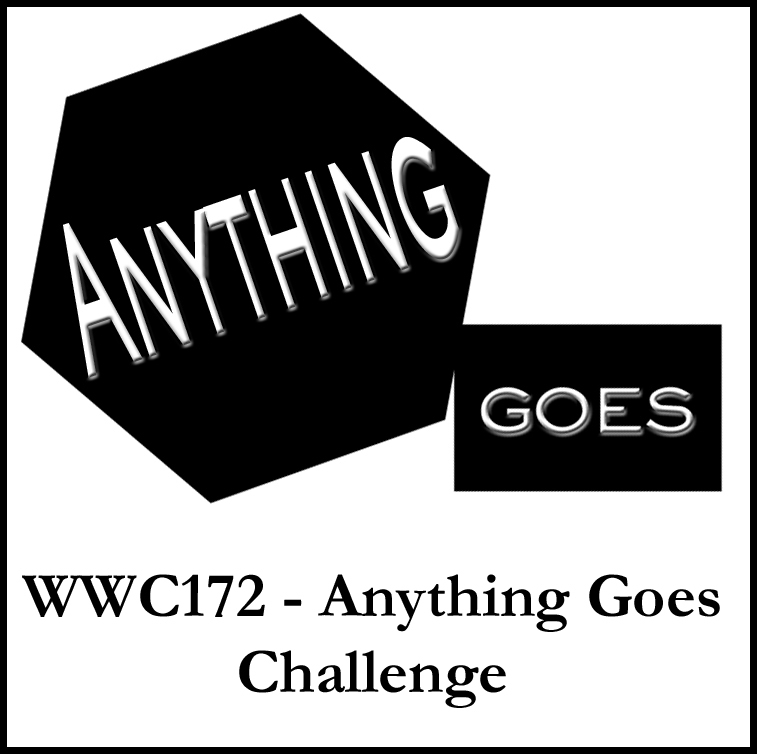 Great background and I love the sentiment you created, now that's snarky!Thanks so much for sharing with us at the ANYTHING GOES Watercooler Wednesday challenge this week. This is a work of snarky art!